Together … healing does begin. Hope brings opportunity and the willingness to walk a new path. Families go through a lot. When someone you love is suffering, or out of control, it can be a helpless feeling. However, people recover. And so do families. What is often needed is simply a new direction. "Something has to change" is the heartfelt desire of most families who have been worrying over a loved one's addiction. The reality is that families are often a last bastion of hope & support for an individual trapped in the cycle of addictive disease. Families want to believe that recovery is real, and a new life is possible. Often though, clients have been through several rehab's only to find themselves still struggling with active drug use. This can deplete the family's energy, and may act to discourage hope in future possibilities. But do not give up hope. Will methadone treatment work? The answer is that methadone treatment is effective, and for many people, acts as the bridge to a new life. This is a fact. However, there is no guarantee. Some clients may be ready for the relief that methadone provides from opiate withdrawal, but not yet ready for the other parts of recovery like work, parenting, or other forms of positive behavior change. Recovery is a process. This process does take time. It's not always easy to predict how well a client will respond to treatment. Some clients are so ready for change that methadone acts as a springboard … enabling them to open doors and restart their lives in almost unimaginable ways. Other individuals need time to reorient themselves to the demands of daily life. And they may require several months just to clear their minds and to become focused again on moving forward. This is sometimes followed by a period of excellent overall stabilization and a transition into increased productivity. Yet, other clients may struggle for extended periods of time with significant ups and downs before they finally get their bearings. The amount of improvement varies to a remarkable degree from one client to the next. Most clients will find long lasting relief from opiate withdrawal and also the risky behaviors that were associated with illicit opiate use. Many clients become reliable again with money, scheduling, sharing in household responsibilities. Others become incredibly productive interviewing for jobs, securing work, contributing to family finances, and resuming a full life. Some clients enter college or finish their degree once stabilized on methadone medication. How long will my family member remain on methadone? Most likely, at least a year. And often times, several years. There is no perfect answer to this question because each client's stabilization and recovery is a personal process. What we do know in the treatment community is that rushing an individual to detox off of methadone too early leads to relapse and a breakdown in recovery gains. Coming off of methadone successfully, and not relapsing, is a process that typically occurs gradually … not suddenly. Several factors play into a client's ability to taper off of a methadone program. Many clients will begin thinking about tapering after a year or so. The family can help this process as can the methadone clinic treatment staff. Clients sometimes develop a fear of tapering off of methadone because they have memories of painful opiate withdrawal, or fear they may risk losing their gains without methadone support. Treatment staff are in a unique position to help the client overcome these fears and to realistically examine their readiness to taper. Clients can, and do, successfully taper off of methadone everyday. It works best when the client is in control of the pacing, and can make this decision without undue pressure from others. What if my family member drops out of the methadone program, or is removed from it? This does happen from time to time. Occasionally, clients find the rules of the methadone program are too much, or they become no longer willing to travel to the clinic each day. Some clients may begin abusing other drugs and consequently may be removed from the methadone program due to safety concerns. Methadone treatment programs are by design "structured programs". But some clients require an even higher level of structure such as that found in longer term residential treatment programs. Should your family member need this level of treatment, his or her methadone treatment counselor can help with a referral to a longer term program. Please note that most all methadone clinics have a variety of treatment interventions & approaches available for their clients. And methadone clinics routinely offer these more intensive treatments to the methadone client as a means of helping them succeed and remain on the methadone program. Will I be kept informed of my family member's progress with treatment? This decision is left to each methadone treatment client. If a client signs a consent to release information to the family, then progress reports can be provided to them. 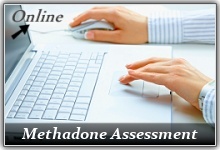 Methadone clinics typically emphasize that clients develop & utilize a positive support network. 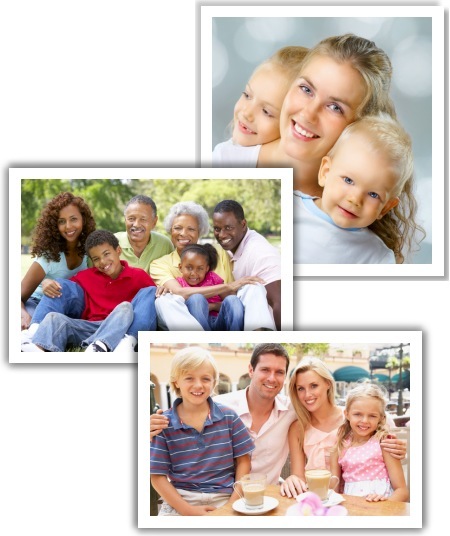 Clients often choose their family members as primary supports. Ultimately, who receives information is a decision made by the client. Encourage treatment and getting help. Offer to become involved in the treatment process. Attend a family support group … for you. Keep all reasonable options open for discussion. Set rules & limits for your home. Stick to them. Be realistic in your expectations of self & others. Patience helps. Actively pursue your own healthy outlets & activities. Become educated on the potential benefits of methadone treatment, as well as risks. Do provide assistance (within reason), especially when it is directly connected to a treatment solution. Offer acknowledgment for genuine efforts made toward treatment & recovery. Methadone maintenance is the most successful treatment available for opioid addiction. Methadone is the most widely used treatment for opioid addiction in the United States. Methadone is the most cost effective option for treating opioid addiction. 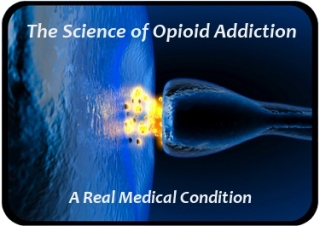 Over 2 million people in the United States have an opioid abuse or dependency disorder.